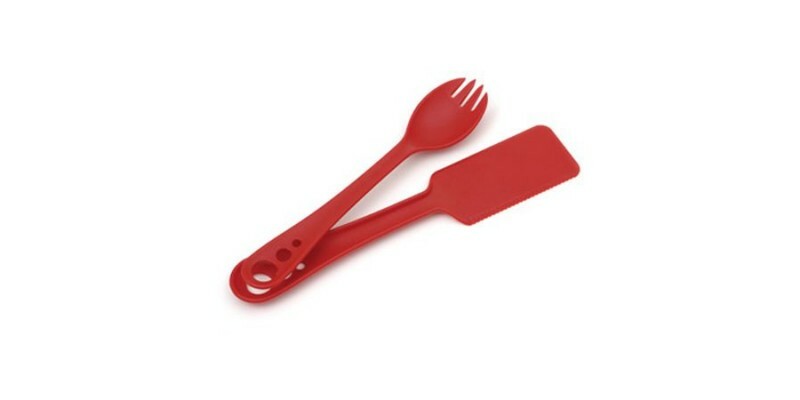 MEALGEAR THE UTENSILS:Versatile enough to twirl your pasta and sharp enough to cut the toughest food. The Spreader/Spatula simplifies PB&Js on the run. and it all snaps together for easy packing. Long handles for eating out of deep pots or food packets.